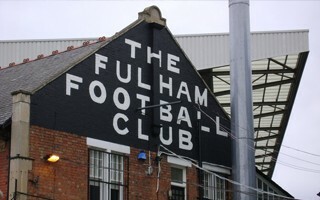 In December of 2017 Fulham FC filed new planning application to the Hammersmith and Fulham Council for Craven Cottage expansion and upgrade. 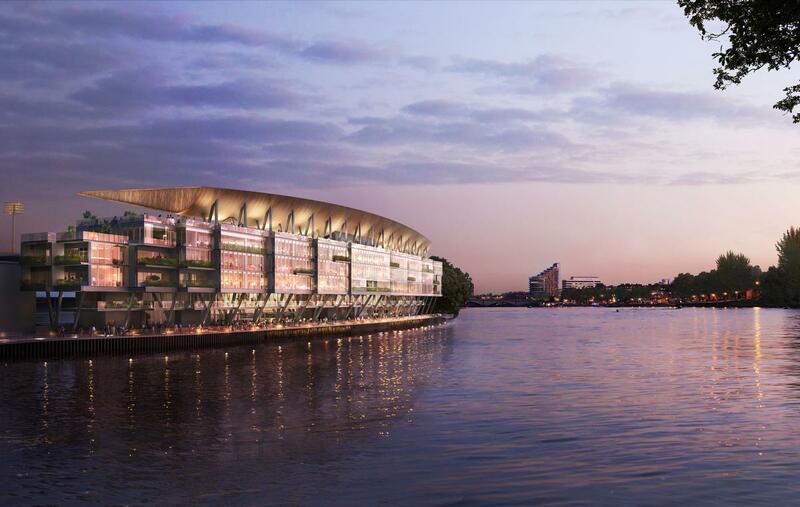 Its key part is the main stand directly beside the Thames. 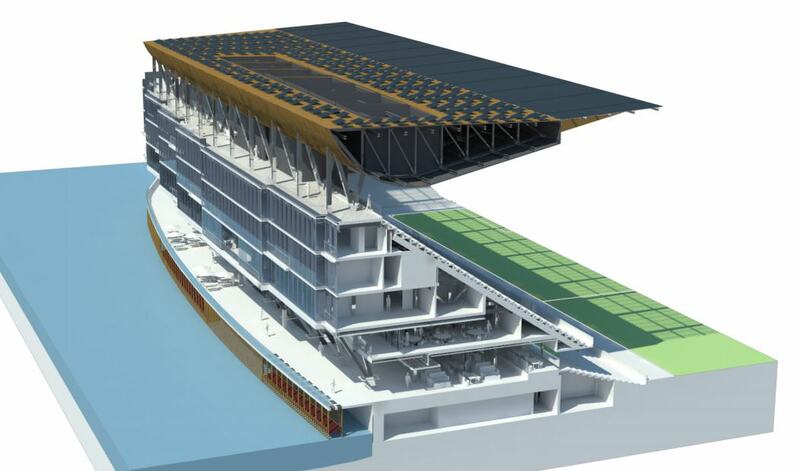 7-floor high structure (1 under ground) will allow the stadium to reach nearly 30,000 seats. It's already the second application filed for the same project. The first one was approved back in 2013 but never carried out. 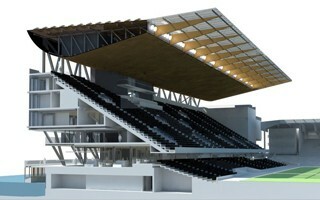 With changed design the new one offers slightly lower capacity and total height, but also increases floor space. 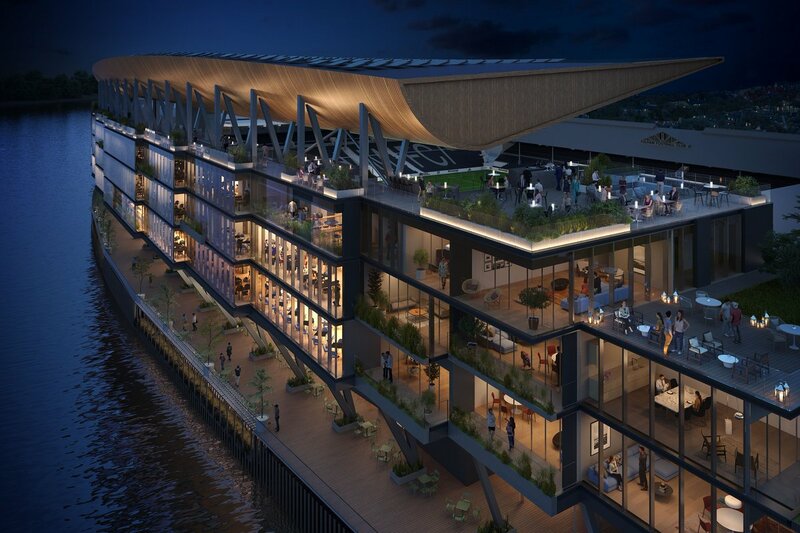 It's also hoped to be slightly more open to the public, including a public promenade with pubs and restaurants operating on a daily basis, regardless of games and corporate events. 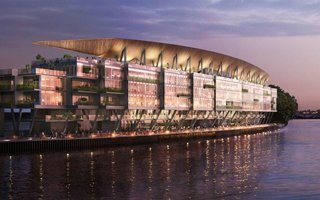 New main stand's capacity is set at 8,705 seats, half of which will be dedicated to business clients rather than average fans. 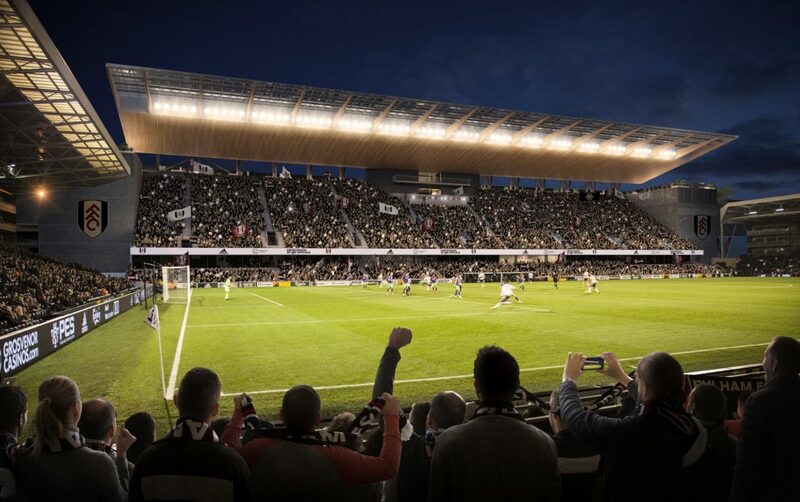 As part of the same development both the north and south stands are expected to be upgraded with new infrastructure, while both western corners will be taken by pavilions aiding the main stand. Floodlight masts on all sides will be removed, however those in the east will be replaced by new ones of the same height.